The International Classifications of Diseases (ICD) system is the international standard for clinical diagnosis, epidemiology and health management in developed nations, and adding a code to a disease not yet recognized by ICD effectively allows for drugs targeting that disease to be clinically evaluated and approved, and for insurance companies to provide coverage for therapies targeting that disease. "With the recent acceleration of the broad science of Juvenescence, it has now been conclusively proven that ageing is itself a unitary disease and should be so categorised. I absolutely add my voice to those that are requesting that the WHO classify ageing via ICD 11 as a disease" said Jim Mellon, a Trustee of the Biogerontology Research Foundation. The researcher's proposal involved collecting and summarizing available clinical data supporting the existence of various presumed causal mechanisms of ageing, clinical data demonstrating the fact that such mechanisms can be modulated by environmental and genetic factors, as well as clinical data demonstrating the efficacy of known therapeutic interventions capable of modifying these mechanisms, in order to argue that the process of biological ageing fits the disease classification criteria used by the WHO. The proposal was initiated in response to a call-to-action by Dr. Alex Zhavoronkov, Chief Science Officer of the Biogerontology Research Foundation, who called for the formation of a Task Force to interface with the WHO in order to develop a multidisciplinary framework for classifying ageing as a disease with multiple disease codes to facilitate the evaluation of therapeutic interventions and preventative strategies targeting ageing in a 2015 article in the peer-reviewed journal Frontiers in Genetics. "It is very encouraging to see the World Health Organization being responsive to the idea of aging being a major public health problem. We collected systematized clinical (human) data on the mechanisms of aging, diagnostic methods and anti-aging interventions using the principles of evidence-based medicine. We plan to continue advocating the WHO, governments, and the biomedical community to treat biological aging as a disease, a condition subject to prevention and treatment, and to publish our extensive review which proves that aging can be treated as a disease." said Daria Khaltourina, lead author of the proposal. 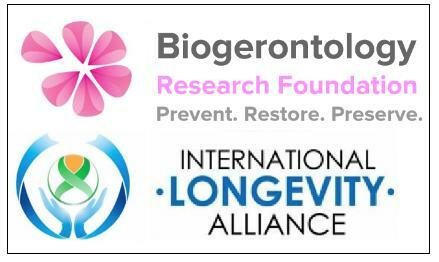 The International Longevity Alliance promotes the social struggle against the deteriorative aging process and for healthy and productive longevity for all, through scientific research, technological development, medical treatment, public health and education measures, and social activism. Advocacy Groups within the International Longevity Alliance have been initiated in more than 60 countries.